HomeNutritionDietary SupplementsWhat is Creatine Hydrochloride? 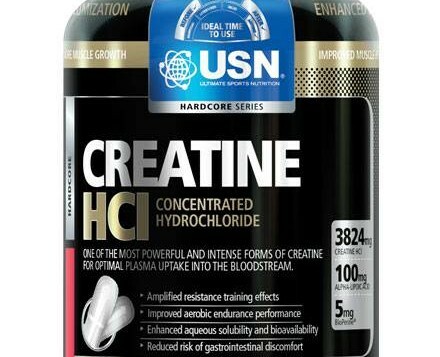 It’s something you have already heard of I’m sure: creatine hydrochloride, or creatine HCL. Creatine HCL is a creatine that has extra bonds with hydrochloric acid, and these hydrochlorides enhance creatine uptake by the muscles. 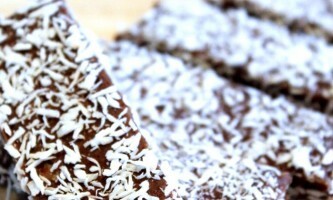 They are also supposed to prevent the drawbacks of traditional creatine. Many kinds of creatine have been developed throughout the years, in order to improve athlete’s performance and his/her muscle gains. Creatine monohydrate is the one that is most used, and it has been studied thoroughly: it’s efficiency is nothing new. Lately, labs have come up with a new form, creatine hydrochloride, which has hydrochloric acid. Creatine increases ATP production, which is, as we have explained many times, a molecule from which hydrolysis liberates energy. This is this energy muscle fibers need in order to contract. Resistance/strength training impacts the T2 fibers, which permit a short but intense effort; and by increasing ATP production, not only will you have a better response to resistance training, you will also recover faster. Numerous interesting studies have also showed that creatine increases Insuline-like Growth Factor 1 hormone levels (and this hormone plays a key role in muscle synthesis). Hydrochlorides are supposed to enhance creatine assimilation, by helping a more concentrated amount to enter into the muscles, for a lesser amount of creatine. Creatine hydrochloride was discovered in 2003; while etyl esther was synthesised, a small amount of creatine hydrochlorides has been produced. After this sample was isolated and tested, the first creatine using hydrochlorides went on the market in 2009. For creatine to express its full potential, it needs to reach and penetrate the muscle cells- this is why it is advised to take it with your meals: the insulin will act as a transporter to the cells. In order to measure the absorption of creatine against creatine HCL, some tests have used the “absorption factor”: the higher it is, the better the assimilation. 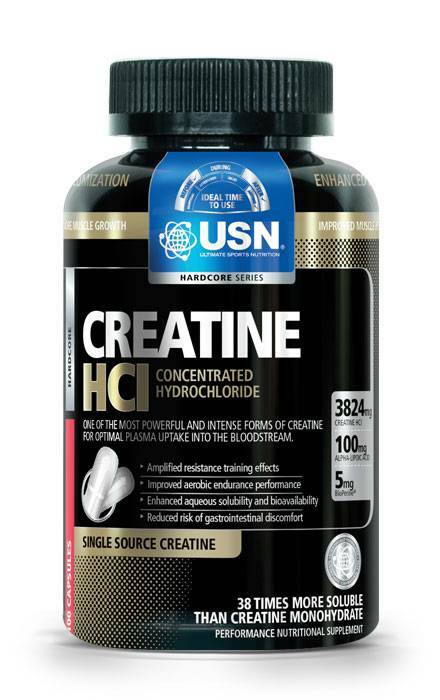 Latest studies have showed that creatine HCL was absorbed 59 times better than creatine. This means that only one daily intake of creatine HCL is required, as opposed to regular creatine which we usually consume two to three times a day. It is advised to take less than 750 mg per 100 pounds, which is significantly inferior to the dosage of standard creatine. With a better absorption rate, this supplement can be taken with any liquid, and even during your training sessions. Creatine HCL : yay or nay? Well…I have a mixed feelings about this one. Most of the studies that have been done were ordered by the very same companies that either produce or sell creatine HCL. I think we need extra time, and extra analysis. I also think cycling and loading phases are nothing but arguments these very same companies came up with for people who don’t know much about how creatine works.